From installing a fence to remodeling the kitchen, you might have several projects on the agenda after moving into a new home. In the midst of planning, don’t neglect routine property maintenance. Regular roof upkeep, for example, will preserve the structural integrity of the installation and ensure it can protect the interior of your home. To keep the system in good shape and avoid the need for extensive roof repairs, here are a few items to add to the maintenance checklist. If there are trees close to the house, make sure branches don’t hang over the roof. Otherwise, during seasonal storms, high-speed winds or lightening could cause the limbs to crash down on the roof. They could also buckle under the weight of heavy snow in the winter. It might be difficult or dangerous to access a tree canopy, so call a landscaper to trim back the branches. Gutters play an important part in preventing roof damage. The fixtures collect rain runoff and filter it to downspouts for removal away from your property. Dirt, leaves, twigs, and additional debris can accumulate in the channels and create clogs. When this happens, water can remain on the roof and seep through the substrate or settle near the ends of the roof and corrode the fascia boards. 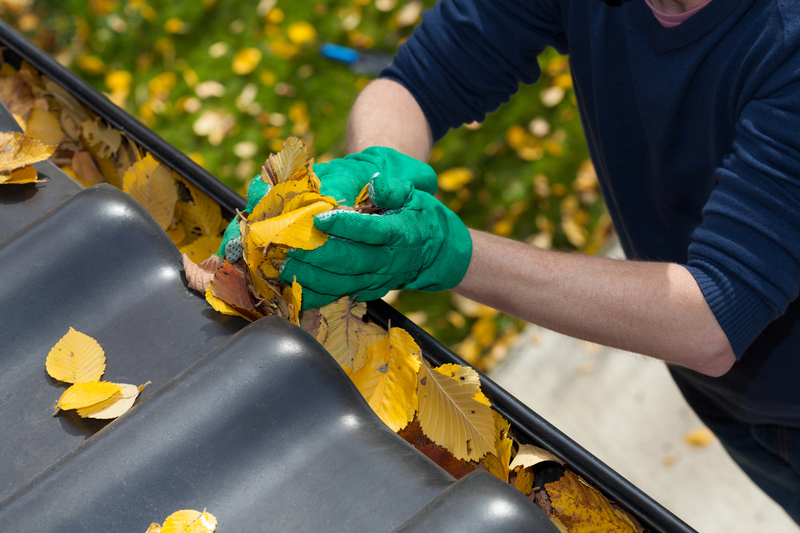 To prevent these problems, schedule professional gutter cleaning before each season and after severe storms. Even if you don’t notice any problems, you should still call a roof repair specialist to routinely examine the membrane. They will check the installation for loose or broken shingles, drainage problems, algae growth, and any other issues that could decrease the life expectancy of your investment. By letting a technician correct these concerns, you’ll avoid the need for expensive roof replacement. Whether you’ve just purchased a new home in the Greater Cincinnati, OH, area or have lived in the community for years, the Fairfield-based crew at Ray St. Clair Roofing will perform roof repairs and cleaning services, install gutter protection, update attic insulation, and provide additional solutions to increase the efficiency, safety, comfort, and value of your property. To schedule roof repairs or maintenance in Butler or Hamilton counties, call (513) 874-1234. Connect with the roofers online for answers to frequently asked questions, or like them on Facebook for up-to-date news and information.